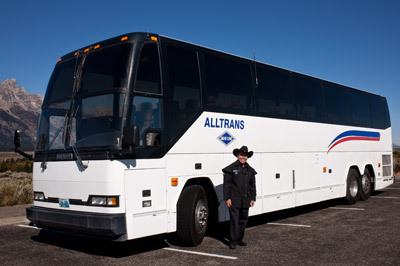 Jackson Hole Alltrans-Airport Shuttles, Charters, Tours, and Taxis in Jackson Hole, Wyoming and Grand Teton and Yellowstone National Parks. Ski Jackson Hole one day and Grand Targhee the next! Ride the Targhee Express and find out why Grand Targhee was ranked #2 in the U.S. for the quality and quantity of snow! Your Ride In The Rockies! Leave the driving to the pros! Jackson to Salt Lake City and back! With many points in between! We will pick you up at the SLC Airport and bring you safely and comfortably to Jackson. 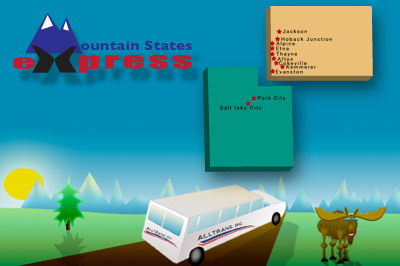 We also offer convenient service to Star Valley, Kemmerer, Cokeville, Evanston and Park City! We can provide transportation for all sizes of groups and events. Special Transportation for your special event. We offer private group ski shuttles, dinner parties, weddings and many other activities. People make a difference and we at Alltrans and National Park Tours are lucky to have the best people in the business. Our managers have been with us for nearly 20 years. Our drivers, guides and technicians are with us year after year. We thank them. We think you will too.